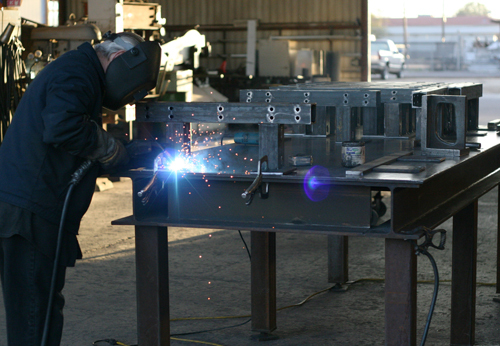 Tolleson Steel provides welding and assembly services ranging from prototype to large scale production volumes. Whether you require a one-time order or a weekly shipment for a long-term contract, we can fulfill all your fabrication needs. We maintain low costs while outperforming in both quality and delivery time for fabrication projects, helping us to achieve a great reputation throughout the manufacturing, agricultural, industrial, and construction industries. In 2006, Tolleson Steel acquired Gramor Machine, allowing us to provide machine shop services and better suit the many needs of our customers throughout the Phoenix, AZ area.